as well as emotional. Healing the Mind, Body & Soul. 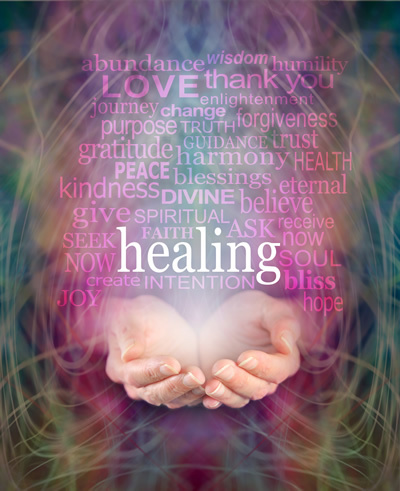 Pranic Healing is a science that uses Laws of Nature of which miracles can occur. Pranic Energy Healing is an ancient science and art of healing that utilizes Prana or life energy to heal the whole physical body, mind & soul. It involves the transference of life energy from the healer or the surrounding Prana to the client. Pranic Healing is a form of energy healing, which works on 11 major energy centres and all minor energy centres, meridians & acupressure points. It is a safe, no touch, easy to receive treatment. Whether the ailment is minor, severe, physical, emotional or mental; Pranic Healing helps to bring all areas of one’s life into balance & harmony. Improves & accelerates the natural healing ability of the physical body. Removes energy blocks and increases energy levels improving immunity. Use of meditation, breathing & healing techniques. Restores the flow of energy within the body in a no touch non-invasive way. Effective for both acute & chronic conditions - wounds, colds, headaches, arthritis, sterility, cancer, digestive disorders & many more. Assists the healing of muscular-skeletal, gastrointestinal, heart & lung, reproductive conditions, detox of organs & systems, regeneration of tissue etc. Removes negative thoughts & emotions. With the use of Prana, the energy that animates life, it assists the body to regain health, and accelerates its healing process. It is a gentle,stuble process which allows the body, mind & soul to heal. Pranic distant healing is based on interconnectedness and directability. The healer and the client are interconnected because their energy bodies are part of the earth’s etheric body. Therefore, the Pranic Healer can heal the client at a distance because their energy bodies are interconnected. Pranic Energy can be projected where thought and intention is focused. When the healer focuses intention on the client, diseased energy can be removed and Pranic energy can be projected at the client.